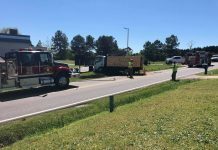 On April 1, 2014 the Greenville County Sheriff’s Office responded to a vehicle fire in the area of McCullough School and Oak Hill roads in the Southern part of Greenville County. Once Fire Department personnel were on scene and extinguished the fire, a body was discovered inside the vehicle. An autopsy has been conducted and revealed that the body was a female. At this point in the investigation a positive identification has not been made. The Sheriff’s Office is investigating this as a homicide. This is currently an active investigation and when additional information is available, we will provide it to you. Anyone with information regarding this incident is asked to call Crime Stoppers at 23-CRIME.